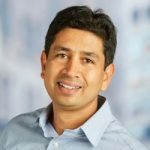 Saurabh is responsible for driving product strategy for building the next generation of Analytical solutions for the Internet of Things at SAS. He is also responsible for creating an effective eco-system with SAS partners to support a seamless go-to-market path. He works closely with customers and partners to understand market requirements and helps them drive business value with SAS IoT solutions. Saurabh’s area of expertise include IoT Analytics with a focus on streaming and edge and technical architecture considerations for IoT.